Home Visas Hajj and Umrah Why do Airlines charge double amount from Hajj pilgrims? Why do Airlines charge double amount from Hajj pilgrims? Double Ticket Cost during Hajj Season: It is often seen every year the airline companies around the world raise their fares during Hajj season for traveling to Makkah, Madina, and Jeddah. Sometimes the companies raise fare more than the double rates. Many Hajj pilgrims have to spend extra due to this reason. The same situation is for Bangladeshi Hajj pilgrims. 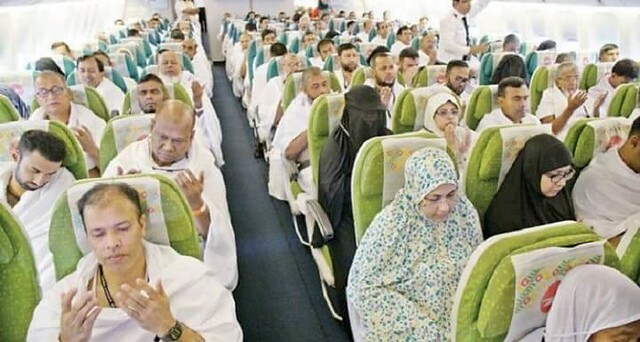 They have to face extraordinary charges for traveling to Saudi Arabia for Hajj. This is the time when every country waits for Hajj packages and to submit their application to go for religious obligation. Along with the expenses and package fees, every pilgrim is worried about the airfares and other expenses. Especially Airlines from Bangladesh: The Bangladeshi pilgrims have to pay double charges for the plane fares. According to Biman Bangladeshi Airlines, The regular cost of Dhaka-Jeddah-Dhaka flight is around Tk 50,000 – 60,000, but a pilgrim has to pay approximately double of this original plane fare. Last year, pilgrims traveled to Saudi Arabia and paid Tk 124,723 for Hajj flight. This rate was fixed by the Bangladesh government for the committed Hajj flight with Biman Bangladesh Airlines and Saudi Airlines. This is not the only rate they have to pay. Along with plane fares, a Hajj pilgrim has to pay for a place to live, local transport, and food in Saudi Arabia. Why do they charge double rates during Hajj season? Now the question that comes in our mind is that why do Biman Bangladesh Airlines and Saudi Airlines charge double for Hajj pilgrims whereas in its neighboring countries like Pakistan, India, and Indonesia the pilgrims are charged with the regular plane fares. Biman officials said the Hajj flights’ operating cost is higher than those of regular flights because these flights are operated in a different way and no other passenger is allowed to travel through these flights. It means these flights are only meant for the pilgrims. Sheikh Shakil Meraj, the General Manager (Public Relations) Biman Bangladeshi Airline said, “Biman Bangladesh Airlines is a little different compared to other countries Airlines because only Biman and Saudi Airlines can operate point to point direct and dedicated hajj flights. These flights do not have any transits. But the Indian or Indonesian pilgrims do not get such facilities. The pilgrims of these flights are not made to suffer and the plane with the pilgrims are directly landed on the desired destination. The pilgrims plane doesn’t take any transit to add an additional four to six hours to the trip. Taking transits causes suffering to the pilgrims. 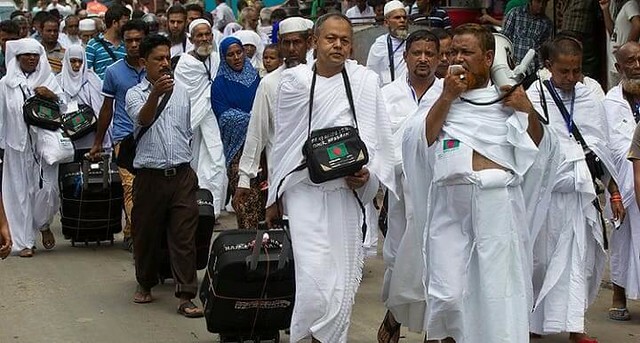 He stressed the fact that most Bangladeshi pilgrims are older than the pilgrims of other countries. The cost of the Hajj Package: It means they have to take the pilgrims with care to avoid any miserable incident. In Bangladesh, due to the high rates of airlines, the Hajj package exceeds Tk3 lakh. However, the Indian pilgrims can perform Hajj in a very reasonable amount. They have to pay 83,000 Indian Rupees while traveling from Kolkata which is TK109,000 and while traveling from Mumbai they just have to pay 76,000 Rs which is just Tk58,000. Has Saudi Arabia imposed SR 700 per expatriate Umrah Free?